ANSWER: Of course. The carry trade typically impacts capital flows. However, this will also distort trade figures. It appeared that China was doing well because traditional current account flows are not understood. The Chinese, who have accounts in Hong Kong, were borrowing dollars at low rates and investing in China at higher rates. This led many to think that China was still booming when it was really the carry trade between Hong Kong and Shanghai. 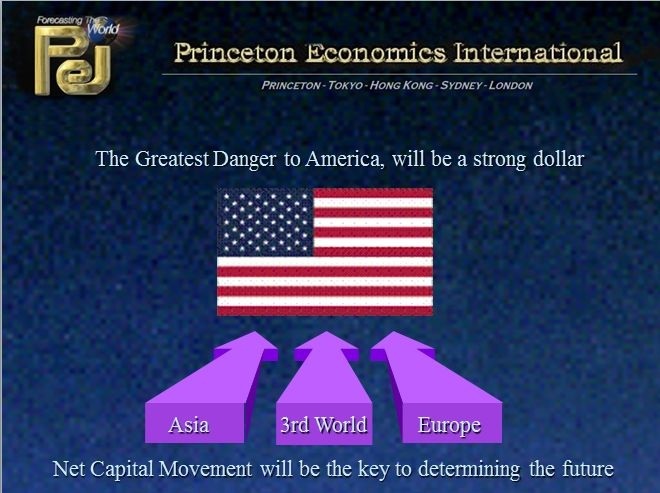 The Fed will raise rates and we will see the capital flows pointing into the USA for a flight to quality and the carry trade from euro to dollars. We will also see those who borrowed dollars to save money in the Third World forced to buyback their dollar shorts.